There are many irritants that can trigger Chronic Cough. That is why it is so important to see a Cough Doctor who can precisely diagnose the cause(s) and trigger(s) of your Chronic Cough. Upper Airway Cough Syndrome is a common contributor to Chronic Cough. Examples of upper airway irritants include: Allergic rhinitis, vasomotor rhinitis, and sinusitis. Imagine a game of dominoes. Upper Airway Cough Syndrome and Chronic Cough can mimic a game of dominoes. Nasal inflammation from allergies and/or infection contribute to irritating the cough mechanism. Symptoms of Upper Airway Cough Syndrome are a sensation of post nasal drip at the back of the throat, nasal discharge, or throat clearing. Treatment often includes nasal saline, antihistamines, nasal steroids, and ipratropium bromide. 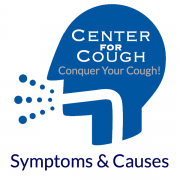 If you have a persistent cough that won’t go away, contact Dr. Mandel Sher at Center for Cough to have your cough evaluated and begin cough treatment targeted specifically to your cough: 727-393-8067. Sometimes, cough is a symptom of an underlying and serious medical problem. Sometimes, Chronic Cough is THE problem. A cough that won’t go away should not be ignored. Prompt cough evaluation and cough treatment plan minimize your and your loved ones’ concerns that something more serious can be going on.